Sometimes, there just aren’t enough words. Elderly man Justin Bieber was carried up the Great Wall of China Monday by his bodyguards, in what seems to be a scene out of an old Cleopatra movie. — BelieveTourUpdates™ (@BelieveTUpdates) September 30, 2013Bieber is in China as part of his Believe tour and is set to perform in Dalian tomorrow. 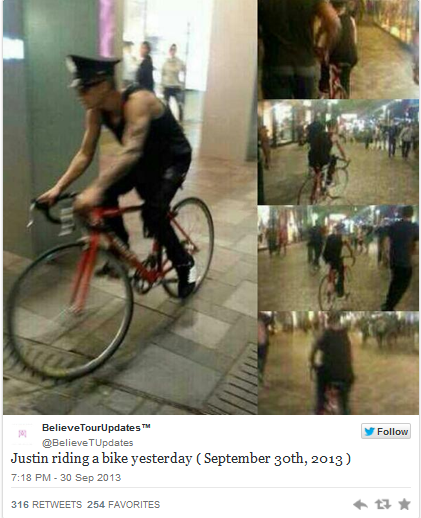 And just in case being carried on the shoulders of other human men instead of his own two feet is not outlandish enough, Bieber also ran (and biked) around wearing a Chinese policeman’s hat in Beijing yesterday. 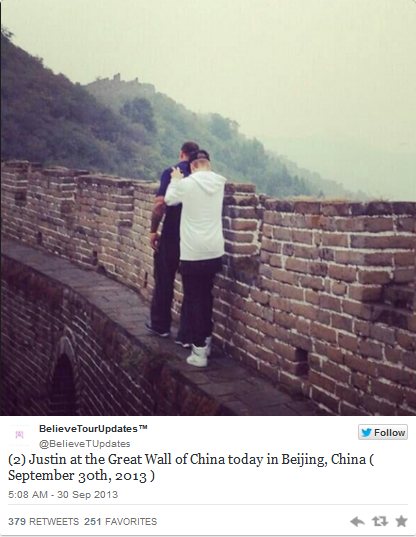 Bieber is in China as part of his Believe tour and is set to perform in Dalian tomorrow. 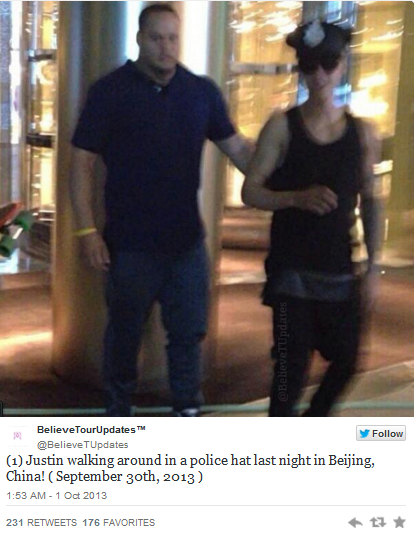 And just in case being carried on the shoulders of other human men instead of his own two feet is not outlandish enough, Bieber also ran (and biked) around wearing a Chinese policeman’s hat in Beijing yesterday.